Tim Castree is the Global CEO of Wavemaker, GroupM‘s billion-dollar revenue media, content and technology agency, obsessed with the customer’s purchase journey. Tim oversees a business that is powered by the creativity and curiosity of 8,500 people in 90 countries. With over 20 years of industry experience, Tim’s diverse management experience spans creative, media and integrated agencies. Prior to joining Wavemaker, Tim was MD for Videology’s USA business where he developed the company’s strategy for providing cross- screen media technology solutions for advertisers, agencies and media companies. 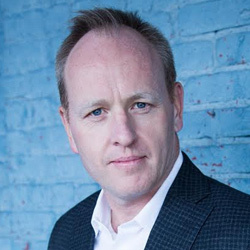 Previously, Tim was COO for MediaVest US, running the business and leading major client accounts including American Honda Motor Company, Mondelēz, Coca-Cola, Microsoft and Sprint. He was also President, Global MD for SMG, leading the global P&G business. Tim began his career at Leo Burnett in Melbourne. He was the head of client management at BBH New York, before spending three years back in Australia as the CEO for Leo Burnett in Sydney, where under his leadership Leo Burnett was named Australia’s Agency of the Year and he won a Titanium Lion for his work on Earth Hour. He has 20 years of work experience (9 of them in leadership positions) in sales and marketing across varied industries like Consumer Durables, Consumer Electronics and Telecom and Premium Personal products. 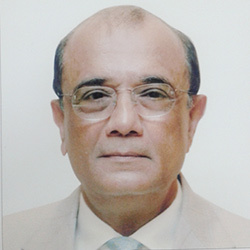 Mr. Vijay J. Mansukhani is a co-promoter of Mirc Electronics Limited and is also its Managing Director. He has been associated with Mirc since its inception in1981. A graduate from the College of Marine Engineering, Mumbai. Mr. Mansukhani has over 30 years of experience and proven expertise in driving the organisational growth through the enhancement of existing growth areas and developing potential opportunities. As the key member in devising and implementing corporate growth strategy for Mirc, he is also involved in the telecom sector. 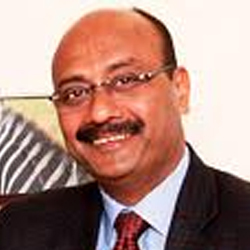 He is the Managing Director of Adino Telecom Limited, a joint Venture with Enkay Telecommunications (India) Limited. Mr. Mansukhani is also on the Board of several companies, including Akasaka Electronics Limited etc. In his role as CMO, Ajay provides strategic direction and leadership for marketing at Aditya Birla Capital and its subsidiaries. Aditya Birla Capital is the holding company for all the financial services offered by Aditya Birla Group. Its 12 companies have a strong presence across financial services like life insurance, health insurance, mutual funds, stocks & securities and home, personal & corporate finance. As part of his mandate, Ajay has carved new milestones across his portfolio of brand, customer data and analytics, customer life time value, customer experience, corporate communication and corporate social responsibility. Over the years, Aditya Birla Capital has consistently won recognition through coveted Marketing awards, under Ajay’s leadership, on domestic and international platforms. Amit is a Marketing professional with over 16 years of experience. During this period, he has built and expanded multi-million dollar businesses for leading global and Indian brands such as Havells, Philips, Hero Honda, Nestle, Perfetti, and ITC. He is known for cultivating Marketing and Digital transformation as a core marketing function to tap emerging digital trends and disruptive technologies. He is a thought leader in the digital realm with a keen interest in automation, data analytics, IoT, AI, and is a strong advocate of digital transformation. He has a proven track record of enabling brand transformation through digitization of Consumer Decision Journey (CDJ). 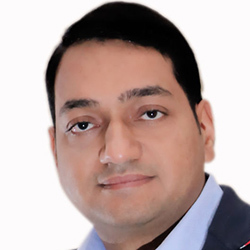 Amit is currently serving as Vice President – Marketing for Havells India Ltd, entrusted with the responsibility to establish a strong brand identity for all of the 4 power brands–Havells, Lloyd, Crabtree, and Standard–by implementing long-term brand strategies in both B2C and B2B segments. 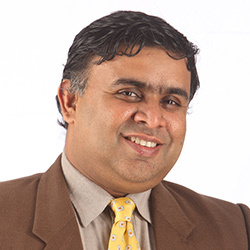 Shankar has more than 15 years of experience in the Financial Services space and Consumer Marketing in India. 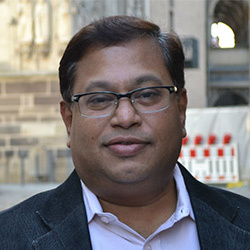 A graduate of St Stephen's College and IIM, Ahmedabad, he has served in organisations such as GSK Consumer Healthcare, CitiFinancial and Aviva Life Insurance. Prior to joining Paytm, he worked as the Head of Marketing and Direct for ICICI Lombard General Insurance. Anshuman Goenka is currently leading marketing initiatives for the RTD Beverages category across the AMEA (Asia, Middle East & Africa) region. He has a well rounded work experience of over 12 years spanning category & brand management, P&L management, strategic planning, product innovation & consumer insights. 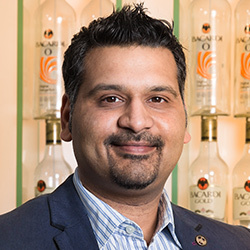 He is associated with Bacardi since 2007 and served as a Group Project Manager prior to becoming the Category Head. 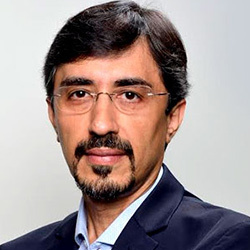 Jagdish Mitra heads the Strategy for Tech Mahindra and is responsible for new growth business at Tech Mahindra. He served as the CEO of CanvasM, the mobility unit of Tech Mahindra and a joint venture with Motorola that was founded in 2006 and also headed the Large Deals Business of Tech Mahindra before taking up this role. Jagdish has over 20 years of IT experience in the areas of business development and marketing in the global information services market. 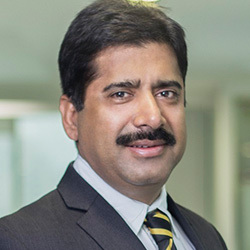 He has handled several responsibilities within Tech Mahindra for the last 20 years, including opening up new markets like North America, Middle East and Asia along with the Global Marketing function and has been actively involved in building several strategic business relationships with key accounts for Tech Mahindra worldwide. 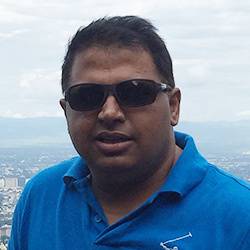 Jagdish holds a Master’s Degree in Computer Applications from Birla Institute of Technology and a Masters in Business Administration from the University of London. Prashant completed his graduation in Economics from DU and an MBA from the Times School. This was followed by stints in Times of India, Pepsico and Aviva, across sales, research and marketing. 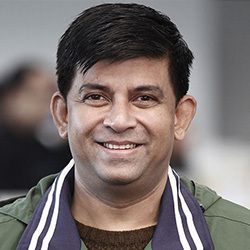 In his last two roles, Prashant was credited with developing child-focussed entry strategy for Quaker Oats as well as developing 'owning the child space' strategy at Aviva. What started as a working interest, has over time, grown into a passion. Sanjay has been serving his designation for well over 3 years. Prior to his stint as the Country Manager, he worked in the capacity of Director, Finance for Bausch and Lomb, Asia Pacific. Bhutani is an alumnus of Indian Institute of Management – Calcutta. Currently he is heading Bausch & Lomb India & SAARC Operations –handling Vision Care, Surgical & Pharmaceutical Business. He is responsible for managing overall operations with demanding commitment to results. 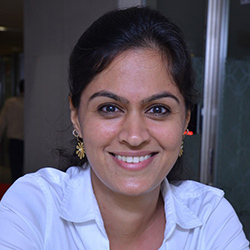 Shilpa Dureja Puri currently leads Microsoft’s digital discipline and is architecting the digital experiential strategy. 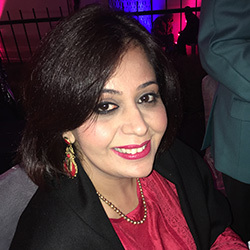 A modern marketing enthusiast and a digital transformational leader, Shilpa has 18 years of digital marketing and strategy experience spanning multiple industries and has worked across both client and agency-side businesses.